More than 70 AEP employees arrived Jan. 27 to begin work restoring power in Puerto Rico. SAN JUAN, Puerto Rico — More than 70 employees from across AEP are starting work to help return power to Puerto Rico. 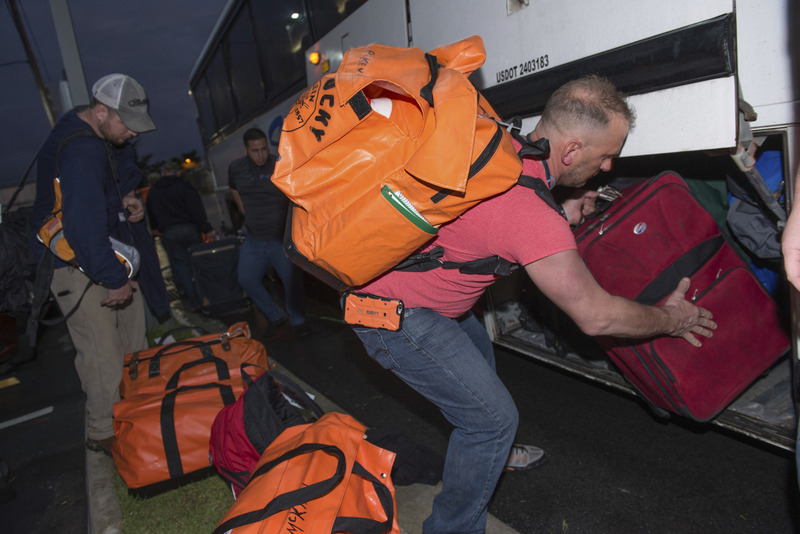 The team arrived in San Juan on Saturday, January 27, and traveled to the city of Caguas, a municipality about 20 miles south of San Juan, where they will stay and work for at least 30 days. Teams from AEP Texas, AEP Ohio, Appalachian Power, Indiana Michigan Power, Kentucky Power, Public Service Company of Oklahoma and Southwestern Electric Power Company are working in Caguas. Workers from a number of U.S.-based utilities and electrical contractors are assigned work across Puerto Rico. The AEP team includes employees from distribution line, fleet, safety and health, engineering and dispatching sections. After arriving in Caguas, employees transferred equipment to staging areas and went through safety briefings. Employees know they’re going to face challenges on the island, including access to materials and safety concerns. AEP’s Incident Management Team (IMT) has been laying the groundwork for the team’s arrival since December to help alleviate some of those concerns. Members of the IMT have been building relationships with the Puerto Rico Electric Power Authority (PREPA), the Federal Emergency Management Agency (FEMA), the U.S. Army Corps of Engineers and other utilities working in the Caguas region. They’ve also been studying the safety issues on the island. A highly detailed package of materials is available for the crews as part of their safety onboarding. Several hours are spent covering the information before they start working. Driving is the biggest safety issue on the island. Many of the street lights are still out and the roads are narrow, especially in the rural areas. About 450,000 of 1.5 million electricity customers in Puerto Rico still have no service and blackouts are still a regular occurrence. Hurricane Maria knocked out power to the island about four months ago.